VSNEXPLORER MAM, VSN’s Media Asset Management software, offers all the tools necessary to manage the media of a company or a group of companies. Once the production process has finished, a series of management processes start with the objective of monetizing the new content. From this moment on, automating repetitive media management processes (transcoding, send-to-playout, quality control, etc.) becomes crucial and VSNEXPLORER MAM is ready for the task. Click here to find more information about all the advantages of VSNExplorer Media Asset Management in the Cloud. 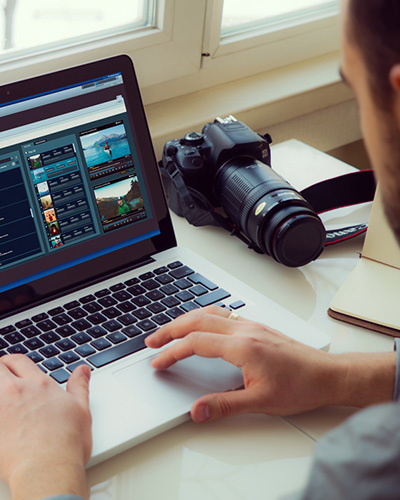 VSNExplorer Media Asset Management incorporates the new 100% web-based video editor, Wedit, to boost collaborative work in broadcast environments and increase efficiency in time constrained tasks, such as news production. Click here to obtain more information about VSN Wedit video editor. VSNExplorer MAM media management platform has been integrated via API with the automatic metadata detection systems of IBM Watson, Google, Microsoft Azure and ETIQMEDIA. Thanks to the integration of VSNExplorer MAM with these Artificial Intelligence tools, media management becomes much more efficient, accurate and easy, allowing for a greater control of the available content, both in storage and being ingested. The technology integrated within the platform enables automatic metadata detection, advanced search, automatic translation, captioning and subtitling, and even facilitate content moderation and complementary information research. Click here to find out more information about Artificial Intelligence applied to media management. VSNExplorer MAM has integrated VSNQC system for providing an efficient quality control of content and media at all times. This module is capable of detecting technical errors that affect media files in each and every stage of their life cycle, and that usually go unnoticed when developing manual processes. This way, VSNQC offers exhaustive information about content quality, warning users about any error that must be modified and thus, ensuring a minimum quality standards for broadcasting. Click here to find out more information about VSNQC module. VSN’s Business Intelligence layer consists in a set of tools that transform the metadata managed by the Media Asset Management software into meaningful information for business analysis purposes. This new layer is capable of extracting insightful reports for administration, finance and project management purposes, among others (only accessible through predefined permissions system), allowing users to make the best decisions. These reports have different views that can also be customizable, being the most common graphs or tables. This new BI layer has been launched recently. 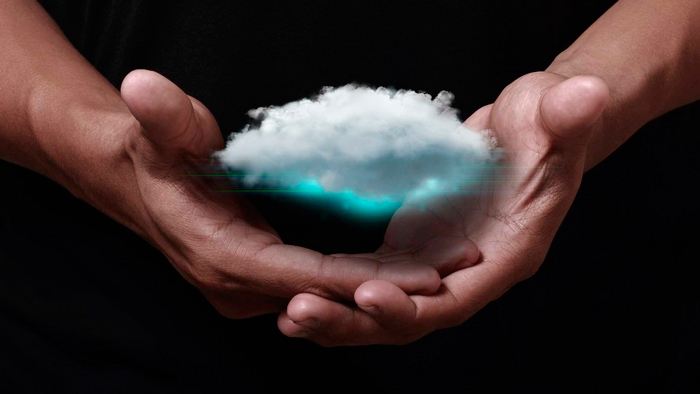 Click here to find out more about VSN’s Business Intelligence layer. A low resolution workflow is essential in a Media Asset Management software. During the process of ingesting the contents in the system, whether from a file or an SDI line, VSNEXPLORER MAM generates a proxy version with different bitrates. From that moment, independently of where the user is, it will be possible to search, preview media, generate hotlists, export EDLs and web based frame accurate editing. All of this, without having to access the high resolution files. VSNEXPLORER allows for an instant publication of contents to social media, directly from the system. Users are able to save time and resources when sharing their contents in the main social networks thanks to the integration of VSN’s Media Asset Management software with Facebook, YouTube and Twitter. Also, VSN is capable of including all the necessary metadata in the system and it converts the video files to MP4 so they are easily managed for social networks and their size is reduced. The low resolution player automatically selects the quality that best adapts to the available link speed, allows for frame accurate marking of segments, supports up to 8 audio channels and allows the user to preview subtitles and Closed Captions. Thanks to the latest integration of VSNEXPLORER with VSNLIVELOGGER, it is now possible to log contents directly while ingesting. Events being catalogued are bulked into the MAM system in real time as either existing or new assets. These assets automatically have segments associated with keywords and metadata entered from the logging platform. These functions allow any user to find, retrieve, edit and launch actions from the very start moment the file is logged. Moreover, segment cataloging allows for fast and easy access to relevant parts of a media file without having to visualize the full piece. This is specially useful for creating sport event highlights, press conferences, etc. VSN’s Media Asset Management software also supports layer cataloguing (strata logging), making it possible to assign different thematic metadata layers (technical, documentation, marketing, etc.) to the same asset. The correct integration and management of a thesaurus is essential for the archivists’ work. It allows the user to create a list of standard terms with the objective of achieving terminological coherence when cataloging contents, making sure that they can be easily located and avoiding ambiguities. VSNEXPLORER MAM enables the user to create complex custom metadata structures, aimed at solving the needs of the most demanding clients. A hierarchy of metadata areas and classes with inheritable properties allow the user to design a totally versatile system, ready for multi-department companies, and even to serve multiple companies at the same time, thanks to VSN’s Media Asset Management system. VSN’s Media Asset Management software is fully prepared for deep archive functionalities. The MAM system integrates with the most used HSMs (SGL, Xendata, Front Porch, Active Circle). It allows for partial recovery by marking (TC in, TC out) on the proxy version, and returns only the high resolution of the selected segment to the online storage. The VSNSPIDER architecture, on which VSN’s Media Asset Management is built, is designed to simplify the integration of new systems, thanks to its service oriented architecture, based on SOA connectors. It integrates all VSN modules as well as as QC tools, watermarking, advanced transcoding and traffic systems, automation and production systems, etc. 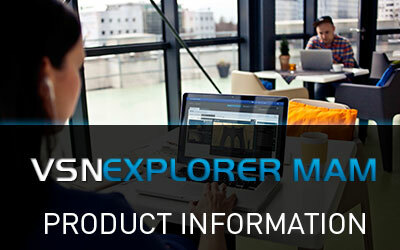 Discover all functionalities provided by VSNEXPLORER MAM. In this Webinar we show everything that a Media Asset Management system can do for an audiovisual company in terms of efficiency and productivity. 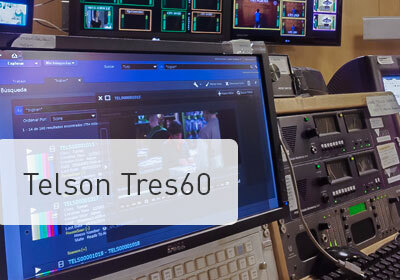 See this VSN's product in action in the Telson (Tres60)'s case study. Click here to download a White Paper about everything you need to know before choosing a MAM System. 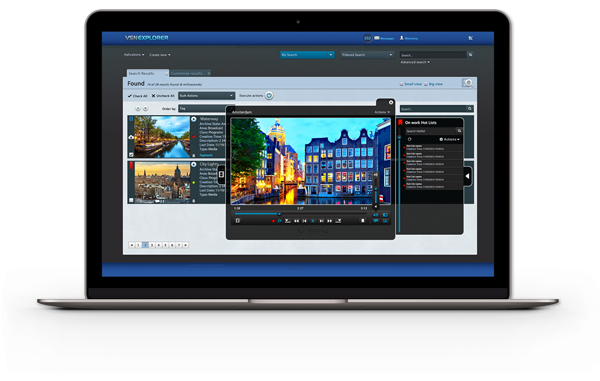 Do you want to see VSN's Media Asset Management software in action?